Located within K-Bar Ranch, Briarbrook is a gated, private and beautiful community known as “a masterpiece community in the heart of New Tampa, ” and featuring single-family homes that are specifically designed with you and your loved ones in mind. Did you know that the name Sonoma comes from a wine-producing region in California? 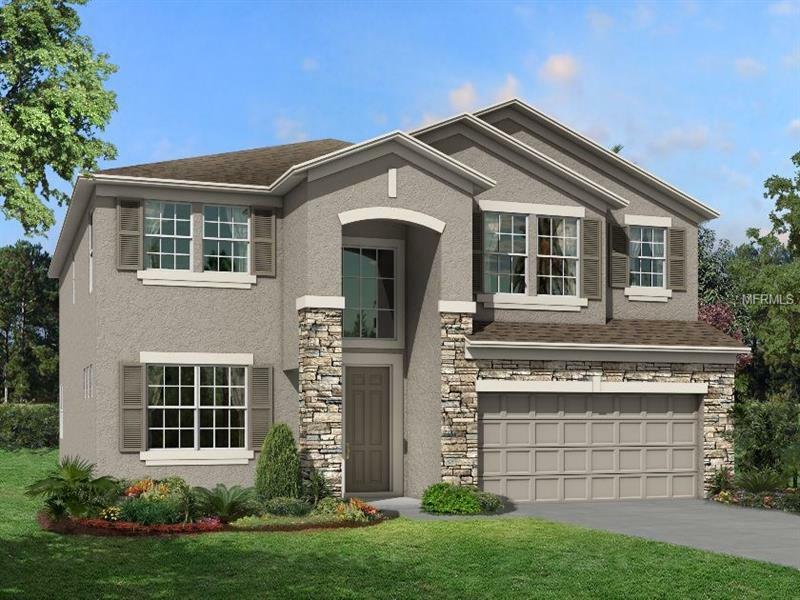 It is only fitting for this home to be named this because the Sonoma is like a fine wine: you will appreciate every bit of it! As you enter the home from the covered entry, you enter into the foyer with a flex room on the side. As you head further into the home you will find the beautiful elegant kitchen. The kitchen also features a cafe area with sliding glass doors leading to the lanai. The family room next to the kitchen is nice and spacious. If the first floor wasn't enough, head up to the second floor where you will find the large bonus room that you can convert into a home theatre or even just a hangout room. On the side you will find two bedrooms, both with walk-in closets, separated by a full bathroom. On the opposite side you will find a larger bedroom. The master suite is as amazing as the rest of the home if not more. To enter you must first pass through the double doors, which is like entering paradise. Towards the back is where you will find the master bathroom, which also features double doors to enter as well as dual vanities, a large tub, a walk-in shower, and a huge walk-in closet.